Rarely as a vegetarian do you come across somewhere where your diet is not sidelined but celebrated. Even more rarely is this the case for vegans. Brighton is the place to be for us; it hosts a number of varied and high quality food-joints targeted at vegetarians and vegans. 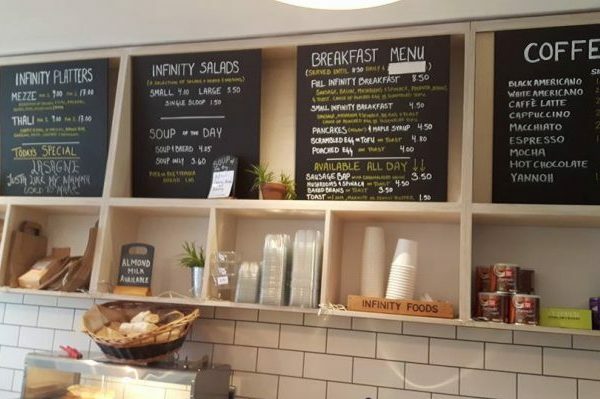 And Infinity Foods Kitchen is one of its long-established gems. 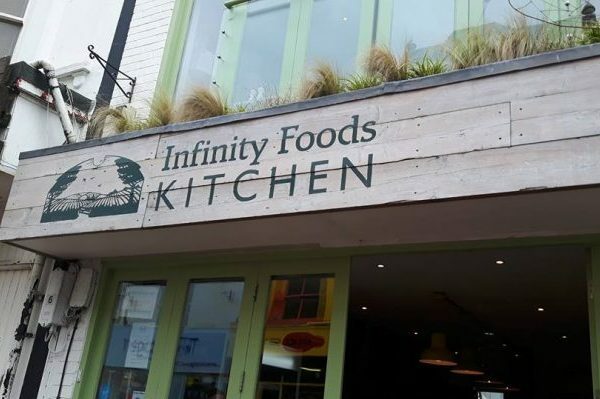 The Kitchen is part of the Infinity Foods cooperative, which is a Brighton-based distributor of ethically sourced food. 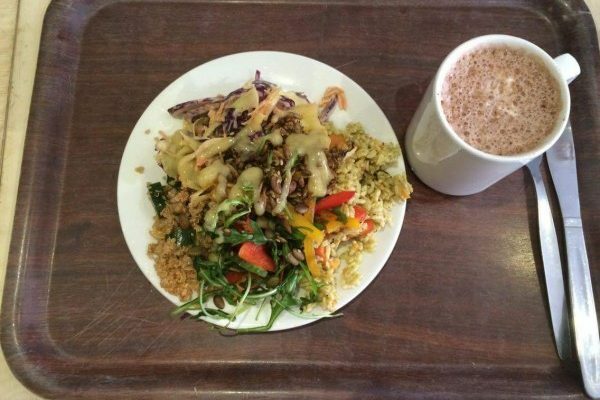 The produce is as much as possible organic, Fairtrade, GM-free and locally sourced. 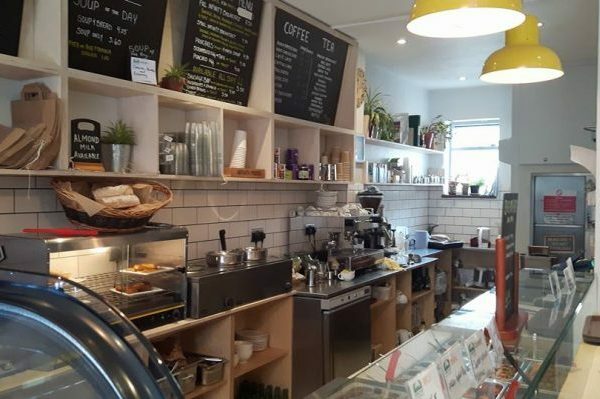 Just a short walk from its sister retail shop on Gardner Street, the Kitchen is where you can enjoy Infinity Foods in a cafe. 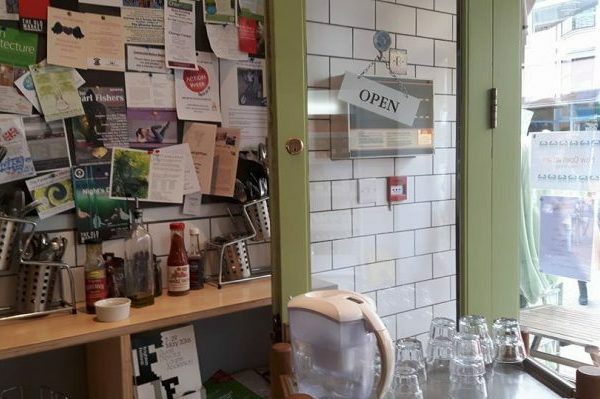 The cafe has a crisp, light, simplistic feel to it which resonates with the message of the place. The food itself is served to you right there at the counter in a ready-made deli kind of style, so it’s nice to be able to tuck right into it. I ummed and ahhed because everything on display looked and smelled so good, particularly the vegetable curries and impressively presented mezze platters (which I have vowed to return and try). We arrived around midday, sadly too late for the full English breakfast, so I eventually went for the all day breakfast and my friend ordered the infinity salad. 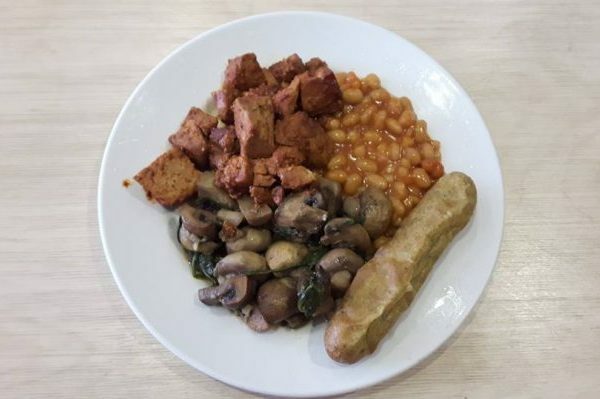 The all day breakfast comes with scrambled tofu, mushrooms, spinach, baked beans, polenta and a cup of tea of your choice. They had run out of polenta when I visited so I was substituted with a veggie sausage. I may never know what the polenta adds to the mix but that was a good sausage. The scrambled tofu is served in a smoky paprika sauce, which really adds colour to the traditional English breakfast flavours. The spinach and mushrooms were cooked well but frankly it’s hard to get them wrong. The Infinity salad is a daily selection of seasonal salad. My friend’s was a mix of cashews, quinoa, peppers, rice, cabbage, vegan coleslaw and a general amalgamation of colour and goodness. She found the rice a tad dry but the quinoa, which can sometimes be dull, was packed with moisture and flavour. To drink I ventured a recommendation of lemon and ginger tea, which swept my food down with a refreshing vibrance, while she had a sadly not-so-chocolatey hot chocolate. You have to leave some room for dessert at Infinity Kitchen, because it is just gorgeous, however unassuming. And everything we had was vegan. We went for the chocolate and vanilla cheesecake (because how could we not?) a vegan protein bar (intriguing) and a peanut butter cheesecake. 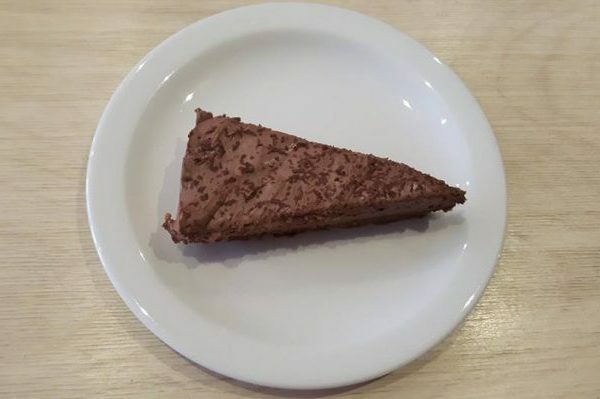 The chocolate cheesecake was a smooth balance of sweetness without being too rich. Peanut butter desserts are huge at the moment, and for good reason. 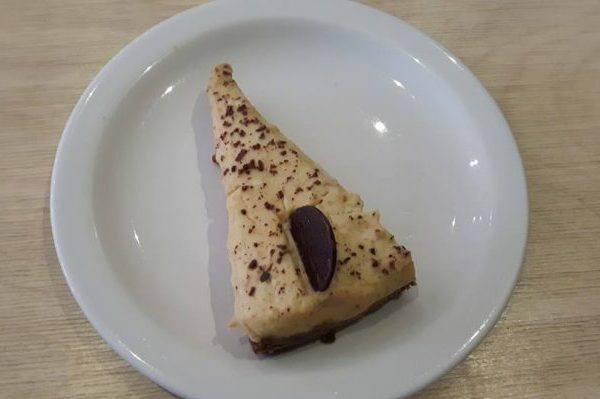 This cheesecake was subtle and surprisingly creamy for its lack of dairy, with the peanut butter flavours hinted just the right amount. The protein bar tasted as peculiar as it looked, but was sweeter than expected and honey-flavoured. A knife would not penetrate its nutty armour so we devolved into tearing it apart with our bare hands. If it was possible, you could certainly taste the nutrition. Gains were had. The one thing I would add is that the presentation of desserts was lacking something, maybe a couple of berries on the side would have given them a bit of interest to they eye. I understand, though, that Infinity is more about substance than style. Infinity Kitchen is humble, laid back and utterly home-made in its vibe. Vegan or omnivore, it’s well worth swinging by for an affordable and tasty brunch.